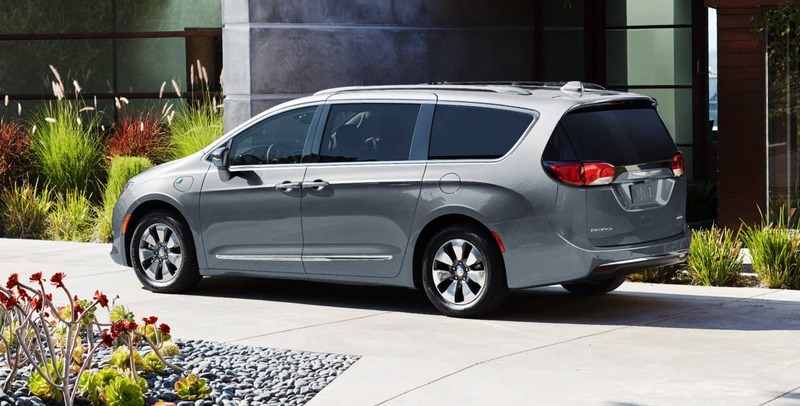 For a ride that's as fuel-efficient as it is comfortable, look no further than the 2019 Chrysler Pacifica Hybrid. With a hybrid engine that makes the most of electric and gas power, you'll never have to fret about being able to get where you're going. 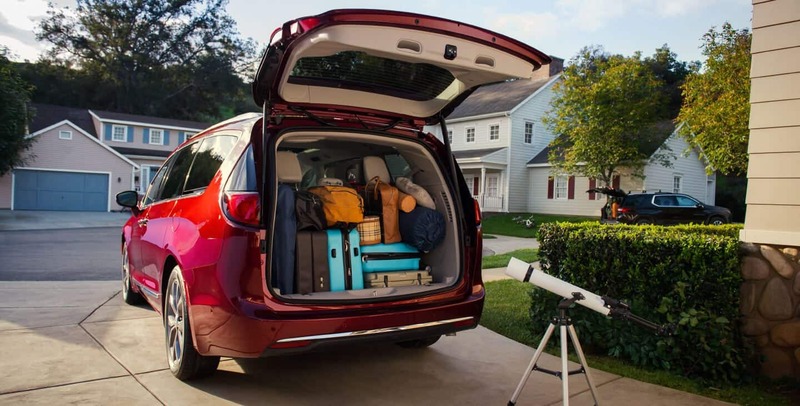 With trim levels and features that are exhaustive and luxurious you're sure to find a version perfectly fits your needs. And with its host of available and standard safety features you'll always be as safe as possible while behind the wheel. So consider the electric marvel that is the Pacifica Hybrid today. How powerful is the Pacifica Hybrid? 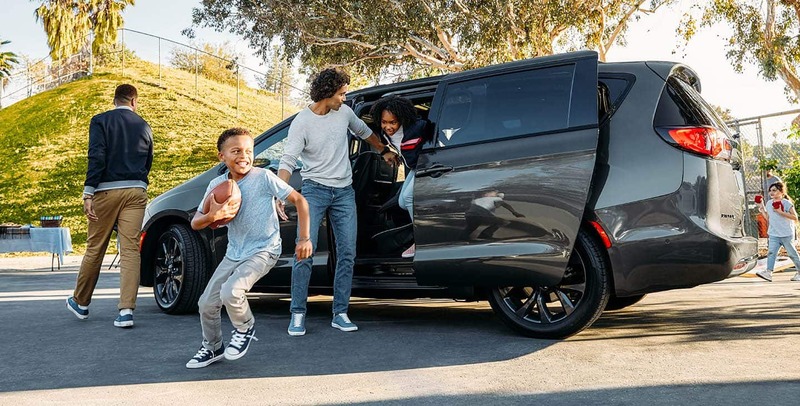 The 2019 Chrysler Pacifica Hybrid comes equipped with a Pentastar 3.6-liter V6 engine that's augmented with a pair of powerful electric motors that rev up to 260 horsepower in total. This allows the Pacifica Hybrid to travel up to thirty-three miles on its electric power alone, after which its hybrid operations automatically go into effect. Working with its innovative eFlite single-electrically variable transmission, the Pacifica Hybrid delivers 82 MPGe and has a gas and electric range of 520 miles. What trim options does the Pacifica Hybrid offer? 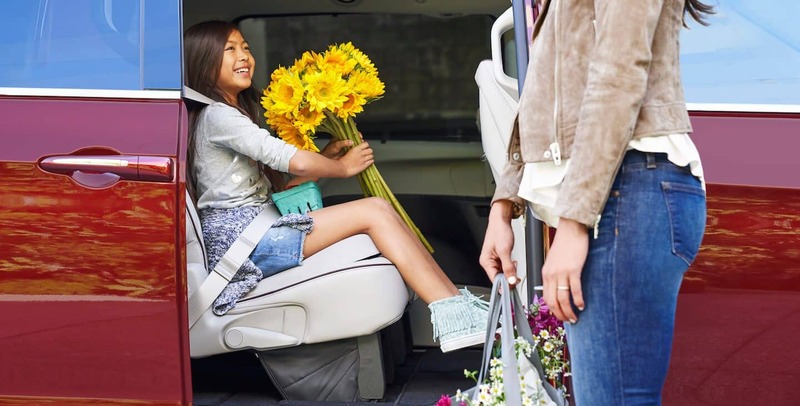 The 2019 Chrysler Pacifica Hybrid mini-van comes with three rows of seating for up to seven passengers and the choice of three very well-equipped trim levels; the Touring Plus, Touring L, and the Limited. Beginning with the Touring Plus will see the Pacifica Hybrid come standardly equipped with an auxiliary jack, 17-inch wheels, USB port, automatic headlights, HD and satellite radio, fog lights, a six-speaker sound system, sliding power doors, Bluetooth with voice commands, heated mirrors, smartphone integration, keyless entry and ignition, an 8.4-inch touchscreen, power-adjustable driver seat, 60/40-split folding third-row seating, driver information display, second-row power windows, tilt-and-telescoping steering wheel, cloth upholstery, tri-zone climate control, and ambient lighting. 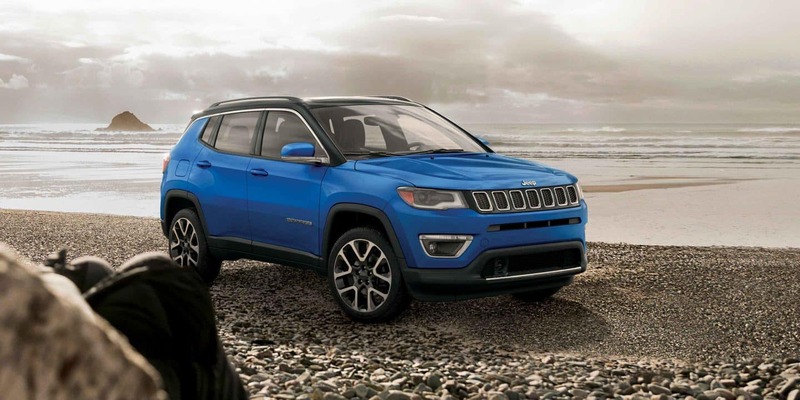 Stepping up to the Touring L trim level will add window shades for the second and third rows, a power liftgate, leather upholstery, roof rails, auto-dimming rearview mirror, remote ignition, and an upgraded center console. Finally, the top-of-the-line trim, the Limited, will gain you numerous features such as an onboard navigation system, automatic high-beam control, ventilated front seats, power-folding mirrors, ventilated front seats, automatic wipers, driver-side memory settings, chrome trim, an upgraded steering wheel, hands-free sliding door and liftgate, upgraded leather, and adaptive cruise control. How safe is the Pacifica Hybrid? 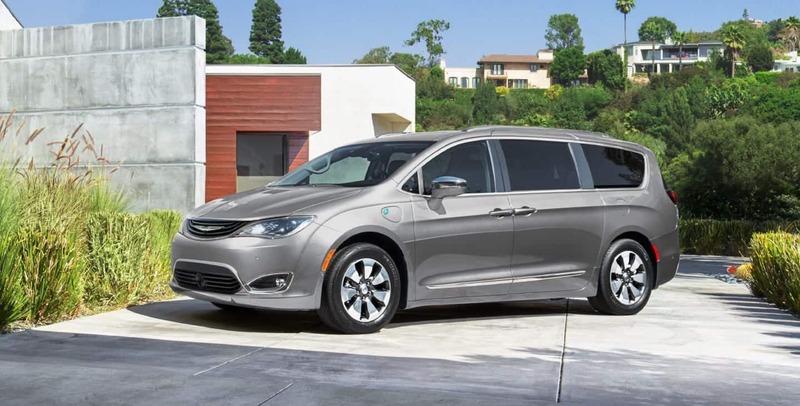 To ensure that the 2019 Chrysler Pacifica Hybrid is as safe as it is fuel-efficient, it comes equipped with a variety of safety features. The list of both standard and available safety features is expansive, but they include ParkSnese front and rear park assist, rear cross path detection, blind spot monitoring, Parallel and Perpendicular parking assist, a 360-degree surround view camera, full-speed forward collision warning with active braking, adaptive cruise control with stop and go, and LaneSense lane departure warning with lane keep assist. 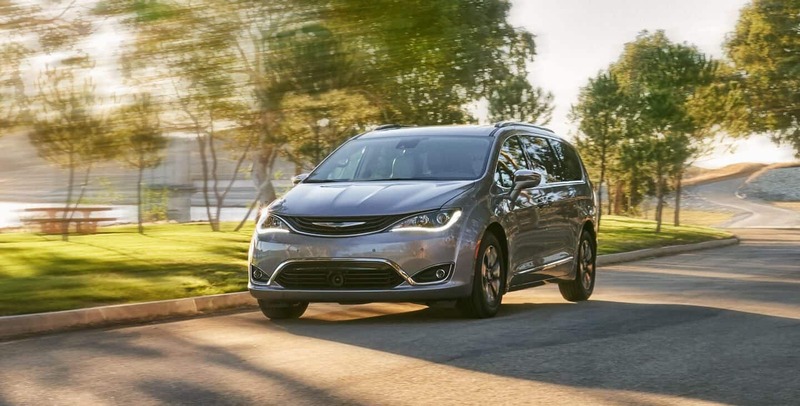 If you've been looking for a vehicle that's better for the environment while still meeting your needs when it comes to power, comfort, and safety, then what you've been looking for is the 2019 Chrysler Pacifica Hyrbid. Its onboard equipment and features are designed to have you sitting a low-emission lap of luxury every time you have somewhere to go. 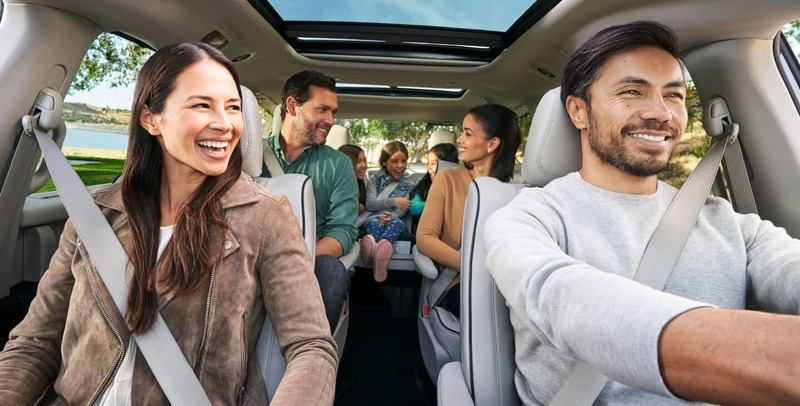 If you would like to learn more about the 2019 Chrysler Pacifica, or perhaps take one out for a test drive, don't hesitate to contact us today.